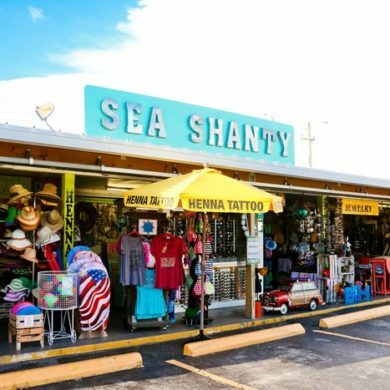 From beachwear to bead art, you can fill your travel bag with a unique Sarasota souvenir when you go shopping in Siesta Key. Stop by the Front Desk on your way back to the Hotel Indigo Sarasota to show us all your loot and treasures. We love seeing what you find out there! Find colorful beach apparel and fun souvenirs for everyone in the family! This store has everything you could ever need (or want) while on vacation. In this hip, bohemian store, you’ll find your Southern Tide apparel or your perfect sunset sundress. Be the best on the boulevard with these chic styles for sophisticated women, from sea glass jewelry to Jack Rogers sandals. This surf and skate shop has all your beachwear, as well as paddleboard, surfboard, skateboard, skimboard and bike rentals. Basically, anything you need – from coast to coast. This family-run business has been around since 1972. Lorry, the founder and owner, left behind a beauty salon in NJ to be near family. She takes pride in being a unique and special store, handpicking all her items and buying only a few in each size. You’ll always find something different here. Just ask the Foxy Lady herself. Find the perfect trinkets while enjoying your mini doughnuts from Meaney’s. The boho clothing and jewelry you’ll find here is perfect for any beach outing. Specializing in beautiful beads from all over the world, you can take ’em home – or string ’em on site. We hope you brought a big beach bag!